Don’t worry about what these names mean or what these things are for now. I’ll be writing posts about them in the coming weeks. In human growth and development, a phrase used to describe adolescence is ‘raging hormones’. It’s a time of growth spurts and other body changes as we grow into adulthood that happen over a relatively short period of time. Hormones in this case are small molecules made of carbon, nitrogen, oxygen and hydrogen. Two of them that most know are testosterone and estrogen (‘steroid hormones’). However, horomones include things like prostaglandins. Plants, animals and microbes also have hormones that are coded in DNA as genes that produce ‘peptide hormones’ like insulin. Plants have hormones too. Whenever you look at a plant, what it looks like is in no small part due to the combined action of hormones. They act as local and long distance signals throughout the plant. Hormones are often the downstream effectors of environmental cues. They can set off cell division, expansion, senescence, and differentiation. Think of a stem transitioning to a flower; cell identities have to be flexible at first and in active states of division, and then differentiation shapes their fate. 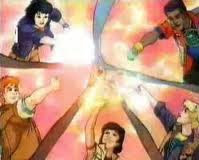 Do you remember ‘Captain Planet’ cartoon and the phrase “By their[The Planeteers] powers combined….”? that is akin to how hormones shape plants. By differential hormone action arise the myriad forms plants take. Of course with input of natural selection and present environmental cues. Plants are complex chemistry labs (as are all living things). And plants are among the most complex, producing thousands of different organic compounds. Hormones are distinguishable from other metabolites (e.g. caffeine). Hormones have deep evolutionary roots and are common to most, if not all, extant plants (Things that photosynthesize may not all have these hormones; like algae or cyanobacteria). Hormones have receptors and signaling pathways enabling them to affect cell and organismal biology. Hormones are able to “talk” to other hormones in a complex system of give, take, and eventual response. Hormones have deep evolutionary roots and are common to most, if not all, plants. Plants can also make modifications to hormones to make inactive storage forms or tag it for degradation. Hormones can affect one another’s synthesis, signaling components, and movement/mobilization. Much more will come in subsequent posts. The story of hormones is complex and fascinating. Sometimes hormones work together, and sometimes they are antagonistic to one another. These hormone interactions are key to dramatic differences in plants, even within a species. I started this post with a list of small molecule hormones. However, I’ll talk about just one in this post. The one that discovered first. Auxin. The rest I’ll save for another time. I have a hypothesis that every single plant scientist, no matter what they are working on, works on auxin too. It’s critical to plants, and from an early stage of a plant’s life. Auxin is involved in almost everything a plant does. In fact, the first cell division of an embryo’s life absolutely requires auxin to trigger a key first cell division event. The patterns of growth track pretty well with concentrations of auxin. The higher the concentration of auxin in an early organ, the more likely a leaf is to grow out of a leaf, flower or root. High auxin is associated with early organ outgrowth. Other hormones then help give final shape and identity. But auxin remains important. Auxin can move within and between cells via a complex network of dynamic auxin transporters that actively move auxin in and out of cells. I wrote a little bit about auxin in my last post on how auxin is involved in a plant’s response to gravity. The big thing to realize is that auxin is a mobile signal. Auxin can move within and between cells via a complex network of dynamic auxin transporters that actively move auxin in and out of cells. This complex stream has a definite direction and flux that the plant can alter. In roots, auxin flows down the central cylinder of the root until it hits the root apex where it turns around and flows up the outer edges. In the shoot, it is similar. A major source of auxin being the shoot apical meristem, where all leaves, flowers, and stems bud from. This central axis of auxin signaling matters for just how much branching happens. Auxin is involved in something called apical dominance, suppressing branching/bushiness. If a primary stem is chopped off, many plants will respond by sending up lots of smaller shoots from closer to the ground. The loss of a strong auxin source causes activation of an alternative growth pathway. This is part of the mechanism behind the logging practice of copiccing. The tri-trunked coconut palm. Source: BBC. 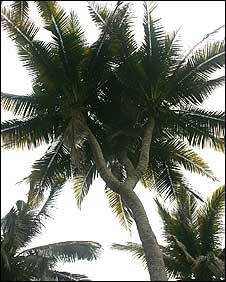 A few years ago, there was a story about an unusual coconut tree that had branch point with 3 trunks instead of one. This may be genetic, though that is not fully clear. The tri-trunk palm is good for agricultural production as it produces more coconuts each year than single-trunk counterparts. This may be due to a defect in the auxin system and a loss of normal strong apical dominance coconut palms exhibit. How plants sense auxin is fascinating. To have an effect, a hormone needs a sensor. And after the sensor, the cell needs a way to react to the signal. In cells, these are proteins. Auxin is the key unlocking a door. The auxin receptor is not a single protein. Two kinds of proteins, one involved in degrading other proteins and one that bound to a protein known as a transcription factor. A transcription factor is a protein that can cause the switching on/off of other genes. When auxin is present, the protein involved in degradation and the protein bound to the transcription factor come together around an auxin molecule. Auxin stabilizes the interaction and allows the degrading protein to tag the one bound to the transcription factor for immediate destruction. This releases the transcription factor so it can go do what it does, regulate genes and thus alter cellular responses in growth. Auxin is the key unlocking a door. In this scenario, you are the degrading protein and the door you’re trying to open as the protein you’re targeting for degradation. Just how auxin works has been a near 150-year investigation. The first to observe ‘a factor’ internal to the plant could alter growth was Charles Darwin. Working with his son Francis, they showed that lemon grass coleoptiles bent towards the light. And that that response could be blocked by covering the very tip of the coleoptile with an opaque covering. This suggested some factor, produced in the tip of the coleptile, moved from there to induce bending further down. Later experiments would further the coleoptile experimental system. In one, the coleoptile was removed and the response was eliminated. When a gel block infused with the factor by putting an isolated coleoptile onto it and the gel block was then placed on the stem, bending was restored. This didn’t work with a block that made of a non-absorbent material. This experiment was further refined by the man credited with discovering auxin, Frits Went. He also used the gel block and placed it asymmetrically on the coleoptile. Noting that this caused bending away from the side where the block was placed independent of whether light was present or not. In modern terms, this means that increased auxin enhanced the elongation of cells on the side where it is highest. As you may remember, auxin inhibits root cell elongation in most cases. 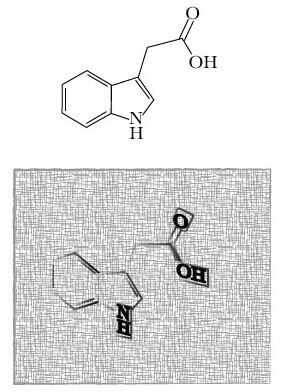 Synthetic auxins, particularly one called 2,4-D, can be used as an herbicide. Using enough auxin makes plants grow so fast their metabolism can’t keep up and they die. One theme in consistent even in times when we know lots of molecular mechanisms for how auxin works: it is well integrated into almost all growth responses plants have. Many hormones affect how auxin moves, auxin signaling, and auxin synthesis/metabolism. And auxin affects other hormones. One remarkable thing about life is that despite the noise, coherent signals emerge. This allows plants (& all life) to respond to their environment. The full mechanisms of auxin action are still being researched. And there will be new and surprising ways auxin will be involved in plant responses.